A friend asked me if any of my books are on iTunes. I have to say, I’d never thought about that. So I didn’t have an answer for her. After a quick search, I found that I am on iTunes. 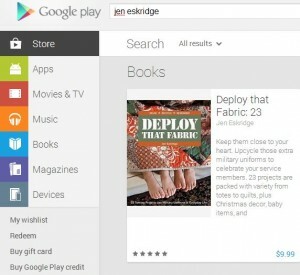 That got the wheels turning- what about the other e-reader stores? Well – yep. Yep. I’m there. 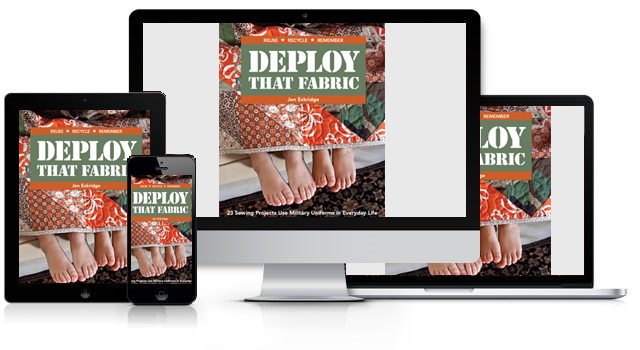 Deploy that Fabric is on every outlet and Learn to Sew Easy Curves is on iTunes, too. WOW. iTunes. Me. Metallica. Cowboy Mouth. Beastie Boys. George Strait. Freakonomics Podcast. We are all there. Of course… those others knew they were in iTunes from the get-go, and well, they are famous and all. Me, welp, I love surprises!!! !